Dogs are generally regarded as one of the most amazing domestic creatures to own. Apart from the fact that they are lovely to play with, they also serve as wonderful and loyal companions. Dogs are owned for different reasons, while some own one for the sake of security, some prefer it as a mere pet and believe they keep the house busy and lively. Either way, they are believed to be wonderful creatures. Nothing beats having a happy and an active dog, either as a pet or for security. When they are over excited or hyper though, they could be a handful to deal with and sometimes, might lead to unnecessary behaviors, hence, the need to calm them down. Dogs can be emotional beings and tend to respond to emotion flows around them and so they have tendencies to get excited, anxious and hyper. At this moment, they are driven by what they see and tend to get over excited and hyper. At this period, they can suffer unrest, disturbing and might even be making noise, jumping at whatever they see. Most of the times, dogs use body language to express how they feel. When you notice your pets seem quite hyper, unease and unnecessarily excited, it could be a sign of anxiety. Symptoms differ in dogs; some others might experience shivering, constant yawning, shaking and loss of appetite. Some might be as a result of other natural or habitat factors. Hyper and overexcited dogs are calmed based on the cause of the anxiety. In this article, we will consider the various ways to calm your hyper dogs. 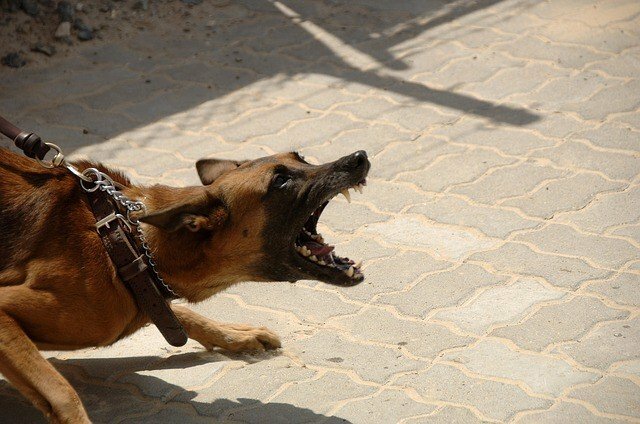 Most of these methods not only calm the dogs down, they also prevent a similar occurrence in the future. This is arguably the most effect way to relieve anxiety and calm a hyper dog. Sometimes, anxiety in dogs could be as a result of lack of exercise. Anxiety has a way of creating unusual and uncontrollable energy. To relieve the anxiety, exercise is very important. Generally, if you want a well behaved, calm and obedient dog, you need to constantly exercise him. Exercising your dogs, like humans, not only calm their nerves and make them feel good. It also has a way of positively affecting their general well-being including their appetite, making them more fun filled and happy. You can decide to take a walk with your dog in the morning or evening. This is another way to calm a hyper dog. Sometimes, all the dog needs are physical contact with the owner. You can try petting the dog, sitting close to it, touching its head and check if the anxiety and over excitement subside. According to research, physical contact, like in humans, helps dog relieve anxiety and calms them down to a reasonable extent. Dogs are smart, they tend to follow basic routines and tend to be insecure and uneasy when there is nothing for them to do. Hyperactive could be as a result of the dog not having anything to do not having any idea of what it is to do. Developing a daily routine will go a long way in setting the dog’s mind of what is expected of it at a particular time, making it less idea, thereby relieving anxiety. For instance, you can build a routine where you take the dog out every morning, play games with it, and take a walk with the dog to smell flowers. In the evening, play with the dog, eat dinner and take a walk. The routine does not have to be detailed, just an idea of what the dog expects to happen per time. Obedience training help builds a proper understanding between the dog and the owner. This goes a long way in calming the nerves of the dog because it teaches the dog what is expected of it and how to behave. Reacting negatively to your dog’s anxiety and hyperactivity might cause will do little to help the situation and state of the dog. Try your best to calm your nerves and act calm. This, to a large extent, calms the hyper dog. Generally, it is believed the most sensitive part of a dog is the nose. They react to whatever they smell and owners can take advantage of that, especially when the dog gets hyper. Some scents including vanilla generally calm dog down and reduces their hyperactivity at a point. You can surround the dog with some of the scents that calm them down or walk them to fields that have plants with wonderful scents. You can also see this video for more information. Like humans, at some points, dogs experience anxiety and tend to be hyper, getting unnecessarily overactive and overreact in simple scenarios. This condition could be as a result of various factors including past events, sudden noises and environmental or medical factors. Dogs can be a handful to deal with in this condition and calming them down could be quite tasking. This article highlights some simple basic techniques to calm the dog down in this condition. ​It should be noted that the way the owner reacts during this time is an important factor in determining how calm the dog will be afterward. When do Puppies Lose Their Teeth?